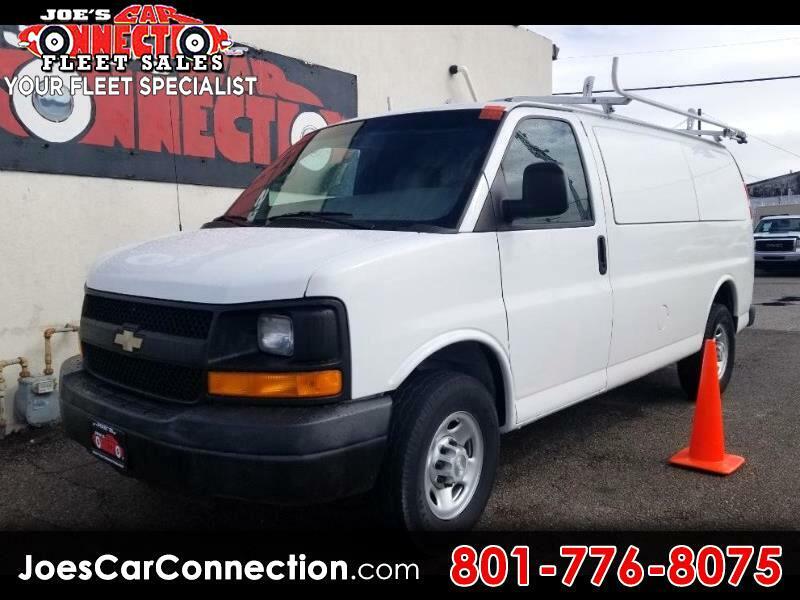 2009 Chev G3500 Cargo RWD Work Van with pop outs all around, and side access doors!!! 8 cylinder 6.0 l!!! Shelves, hooks and a ladder rack. You're all set and ready for business in this van. Still plenty of life left in this tool! We have a plethora of these pre owned cargo vans at Joe's. We are extremely proud of our collection. Take a day to stop in and look... 5464 S 1900 W, in Roy. Only 30 minutes from SLC. Vehicle Inquiry for 2009 Chevrolet Express Cargo Van RWD 3500 135"